Home > How can you measure the value of a webpage? 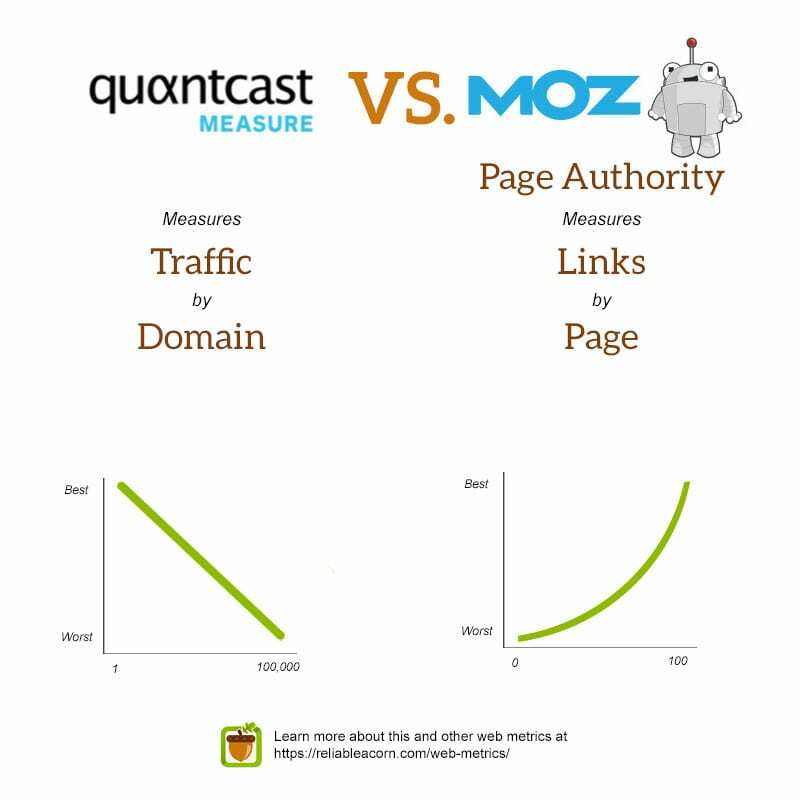 > How is Quantcast Measure different from Moz Page Authority? Moz Page Authority is a calculated metric for how well a given web page is likely to rank in Google search results by using different data from link counts, MozRank, MozTrust, and dozens of other factors. This data is combined into a score between 0 and 100, on an exponential scale. Quantcast Measure is an audience measurement tool that measures a website’s traffic, page views and audience demographics. Quantcast then takes that information and ranks the websites in order, by popularity, from the most (#1) popular to the 100,000th most popular site on the web.